Expressions Whirinaki seeks to engage, enrich, inspire and connect people with art, culture, recreation and heritage by providing a focal point for the Upper Hutt community. 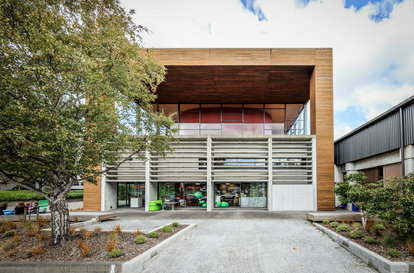 This is achieved by providing arts, recreation, cultural and heritage opportunities for the people of Upper Hutt, by being an integral part of the Upper Hutt Community, by facilitating the use of the Centre, by being an active participant in the wider New Zealand arts, cultural and heritage community and by providing stewardship of the Pumpkin Cottage Collection. In pursuing these objectives the Trust is to give due attention to the operation of the Centre in Upper Hutt, being a building complex suitable for use in purposes associated with cultural activities, the arts, recreation and leisure. in all its actions and decisions, the Trust will endeavour to be accessible, to uphold a professional standard whilst providing value for money, to be diverse with broad community appeal and to be challenging. Expressions Whirinaki Arts and Entertainment Centre is owned by the Upper Hutt City Council. It is leased to, and operated under contract by a not-for-profit Council Controlled Organisation, the Expressions Arts and Entertainment Trust. The Trust is a Charitable Trust accepted as such by the IRD and is incorporated under Part II of the Charitable Trust Act 1957. The Trust is registered with the Charities Commission.